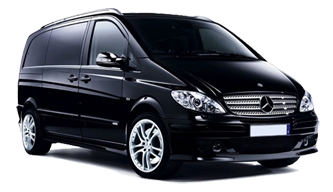 Minibus Transfer Services are the premier high-end vehicle rental company. With years of experience in this field, we provide our clients an upbeat Birmingham airport transfer service. We will pick you from the Birmingham airport and will drop you to the destined location in opulence. Regardless of the places you are about to visit, the journey will be pleasurable and fun- laden with the Birmingham airport taxi transfer services. Take a tour to the corporate functions, sports event, special occasions, music events, and even on road shows. No matter, which terminal you are at, one of our trained driver will be at the pick up location even before you reach? We have top class vehicles, including personal taxis, and 7,8,9,12,14 and 16 seater minibus to and from Birmingham airport to drive you around the city. Select from one of our vehicles and make your journey the most memorable and comfortable one. With our services Taxi hire from Birmingham airport with driver had never been so easier. Driven by the passion to work, our professional and polite drivers will leave no stone unturned in making your journey star-studded. They never hesitate in providing a journey full of pampering and fun. In the end, you will experience a joyful Minibus Hire for Birmingham airport. A delay of flights is not a big deal for us, as we stay prepared to tackle the last minute delay in the schedule. Whether you missed your flight or it got delayed, we only charge you for the miles we drive you around. There are no late charges or delay charges with our services. Regardless of the circumstances, your journey will be as smooth as you had never experienced before. Not just from the airport, you can even book a taxi to Birmingham airport under the same cost. So, don’t hold back and contact us now to book your journey.